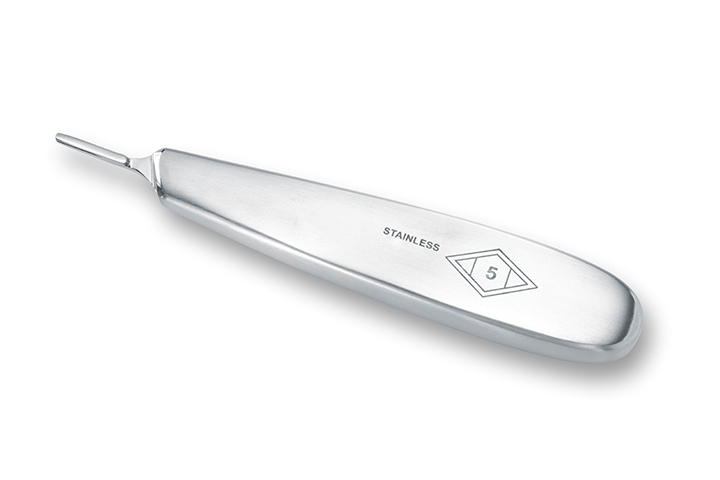 Hand-crafted in the USA and Germany of premium quality stainless steel. The #5 handle is refined, lightweight and extremely durable, with a comfort grip. Small fitment for #10-15 scalpel blades.